CAIRO (Reuters) – Egypt’s hospitalised former President Hosni Mubarak, who is due to stand trial next week over the killing of protesters, is weakened because he has been refusing to eat and is only taking liquids, the official news agency MENA reported on Tuesday. 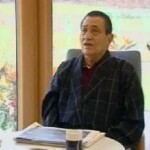 Mubarak “is completely refusing to eat food but consumes some liquids and juice only. He lost a lot of weight and suffers weakness and severe infirmity,” MENA quoted the head of the hospital where Mubarak is being treated as saying.